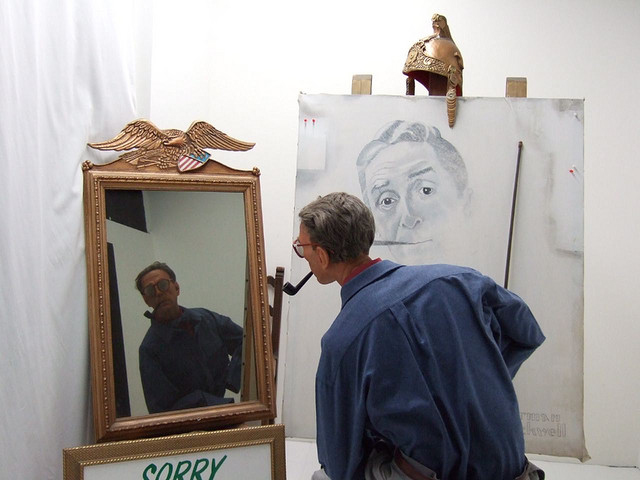 Norman Rockwell painting himself at the Wax Museum at Fishermen's Wharf in San Francisco, California; photo by Mary Harrsch on Flickr (noncommercial use permitted with attribution / share alike). Norman Rockwell (1894 -1978) was an author, painter, and illustrator most well-known for his cover illustrations on "The Saturday Evening Post" and "Boys' Life" magazines. His artwork reflected 20th-century American culture. Several other individuals are recognized as official symbols of Massachusetts: Ben Franklin (state inventor), Dr. Seuss (state children's author), Deborah Samson Gannett (state heroine), Johnny Appleseed (state folk hero), and Taj Mahal (state Blues artist). 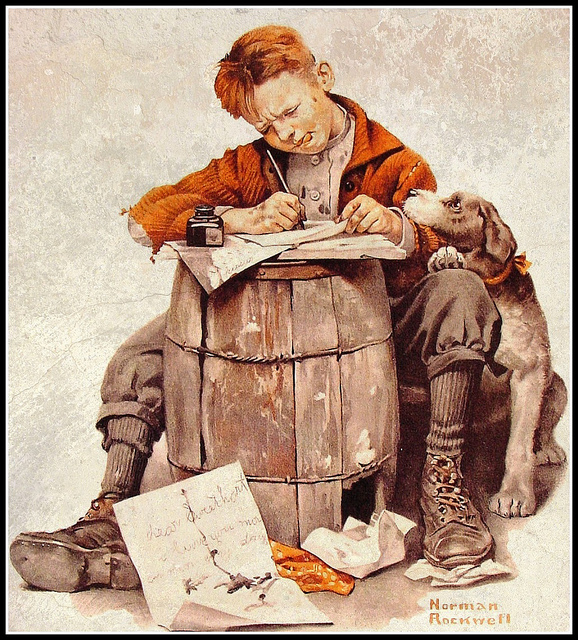 "dear Sweethart..." Vintage illustration by Norman Rockwell for The Saturday Evening Post. Photo by e r j k p r u n c z y k on Flickr (noncommercial use permitted witha attribution / share alike).